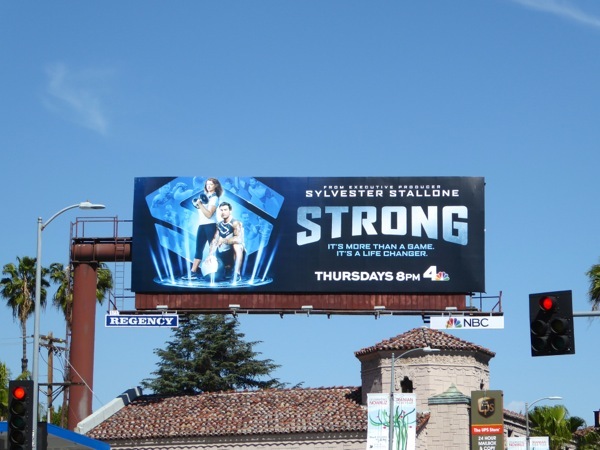 Are you ready for a new breed of competition show? 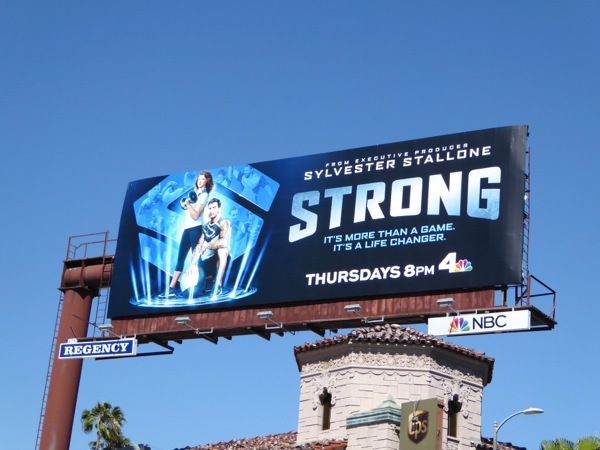 Apparently NBC's Strong is more than a game changer, it's a life changer. Ten women will embark on a transformative journey with one of their own elite male personal trainers (like Adam Von Rothfelder pictured), some of the best in the nation, with the goal for the winning pairing to win $500,000 and a new, stronger, healthier body. 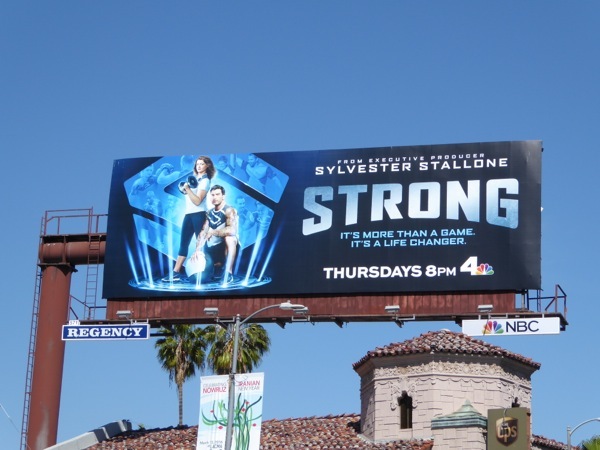 Exec produced by box office action hero Sylvester Stallone and hosted by pro volleyball player and fitness expert Gabrielle Reece, we're told this is not a weight loss show, it's about overall wellness of body and mind. 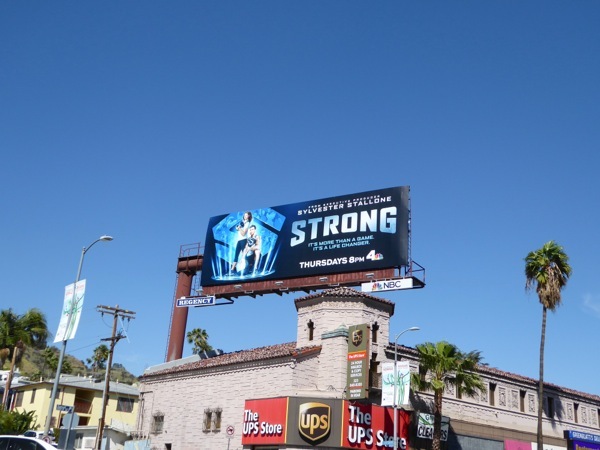 This sporty series launch billboard was photographed above Sunset Boulevard at Laurel Canyon Boulevard on March 31, 2016. Let's wait and see if viewers will get pumped for this new fitness series. Get your gym kit on, because it's time to sweat (or just sit on the sofa and watch others workout).